LIVIN' BEACH CO., LTD. real estate agency is based in Pattaya with a heart for helping foreigners on the quest to find their dream home in Thailand. We listen to your requirements and wishes - whether you seek relocation, a second home in the tropics, retirement, or investment - and present the best matching quality homes within your budget. Our friendly staff are fluent in English, Swedish and Thai. You can rest assured that a Livin' Beach consultant is always on the buyer's side to help you get the best deal and most value for your hard earned money. We walk you through the necessary paperwork as well as legal and practical considerations. Best of all, our services has no extra cost to you except your time. Web: www.livinbeach.com Livin' Beach Co., Ltd. 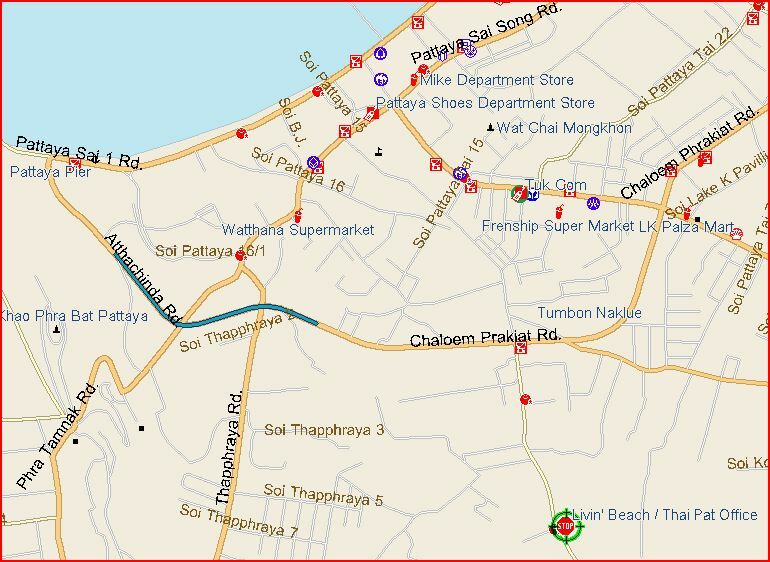 Directions: from Sukhumvit, go inside soi 53 and cross the bridge. Nern Plab Wahn plaza is located after the market and opposite soi 5. The Plaza is located right next to the second 7eleven store after the bridge. Inside the plaza, keep left and stop at the middle of the plaza.